Thanks to Reckitt Benckiser, Finish® and Walmart for sponsoring this post. Kiss My Smoke is proud to partner with them for this campaign. 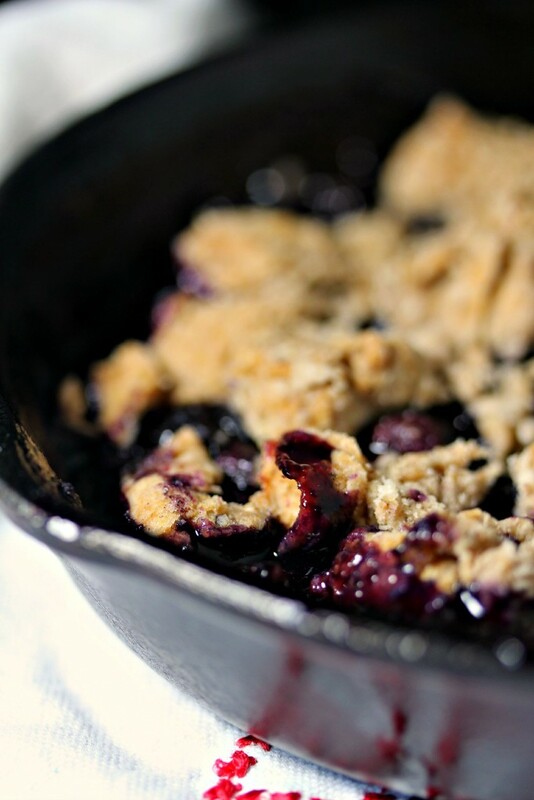 Blueberry Cobbler is the highlight of any summer meal. 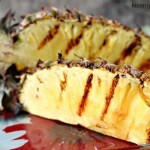 You can easily make it on the grill to keep your house cool this summer! I have a serious weakness for blueberries. I’m pretty sure I inherited my love of blueberries from my father. My dad loved them. We grew up camping and no summer was complete without picking blueberries on our trips. He loved anything made with blueberries but cobbler was one of his favourites. I always made an extra batch when baking it so I could swing some by my dad’s place. We happen to live in a small town just outside of Leamington, Ontario. If you know anything about Canada you know Leamington is one of the best places to get fresh produce. Farm stands abound. My family and I spend a huge amount of time at Point Pelee during the summer. You pass dozens of farm stands on the way there and back. We always stop and pick up fresh fruit and vegetables. Blueberries always top the list. I have to admit I miss having my dad rave about my blueberry cobbler. I miss picking up huge batches of blueberries for him to nosh on. I miss sharing my recipes with him. No one loved food quite like my dad. I miss him daily! 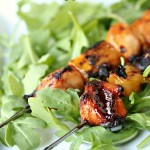 Preheat grill to 400 degrees F. You are using the 2 zone method for this recipe. 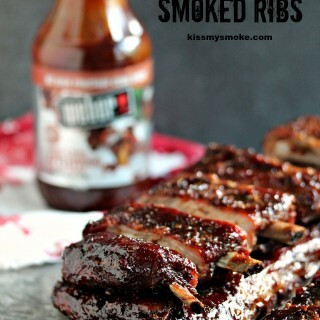 That means 1/2 your grill burners will be turned on, 1/2 will be turned off. The cobbler will be baked on the side with the burners turned off. Use a good quality grill thermometer and place it right on the grill grate on the indrect heat side of the grill to ensure your grill is running at the right temperature, which is 400 degrees. I never trust the gauge on top of the grill. 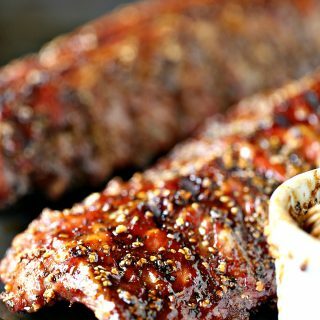 It's giving you the heat at at the top of the grill which can vary wildly from the temperature where your food is! Butter the inside of 1 large cast iron pan, or 4 small cast iron pans, Set aside. In a large bowl combine the blueberries, sugar and orange juice. Mix and allow to soften for at least 30 minutes, up to 4 hours. In a large bowl combine sugar, corn starch, cinnamon, nutmeg, salt and orange juice. Stir well. Pour over macerated berries, and mix until combined thoroughly. 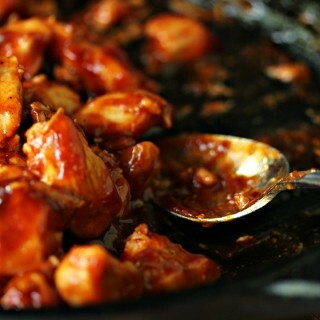 Pour into cast iron pan(s). Sett aside. Combine flour and butter in a bowl, and cut together with a fork, or a pastry cutter, or your hands. Add sugars, cinnamon, nutmeg, baking powder, and salt. Mix until combined. Pour milk into bowl, mix until combined. Using a spoon, or your hand, drop small pieces of the batter over top of blueberry mixture. It's suppose to look rustic so it's okay to drop randomly. Place on the grill over indirect heat and bake for about 30 minutes, or until the top is golden brown and the blueberries are soft. Remove from the grill carefully. You can serve hot or cool. Scoop ice cream or whipped cream over top if desired. Any time I make this cobbler I think of my dad. I think about what a mess we would make eating cobbler and making blueberry preserves for his ice cream binges. Nothing stains and makes a mess quite like blueberries. I remember always showing up at dad’s to prep any blueberry dessert. You see at that time my dad had a dishwasher and I did not. So I loved swinging by to use his. Nowadays I have my own dishwasher. I bought my dad’s house but I replaced his rolling one with a fancy new stainless one. It makes my life so much easier. 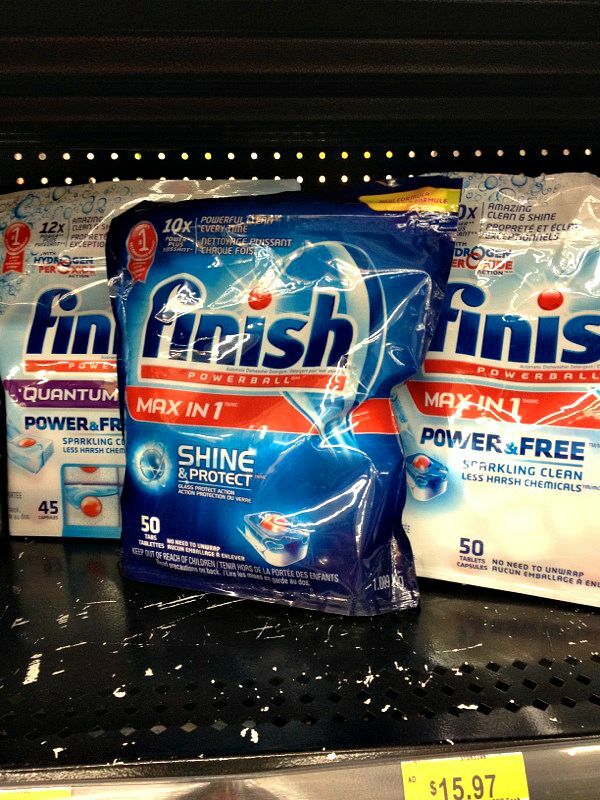 I am a faithful customer of Finish® products. I’ve been using them since they came out. In my opinion they are the only dishwashing product that actually works. I’m a gal who cooks for a living. I grill every single day. 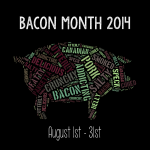 Plus I cook for a living for my other blog, Cravings of a Lunatic. Most days I run my dishwasher at least twice. For me my dishwashing product HAS to deliver on its promises. Grilling tools take a beating. When you grill for a living you make a mess of epic proportions on a daily basis. 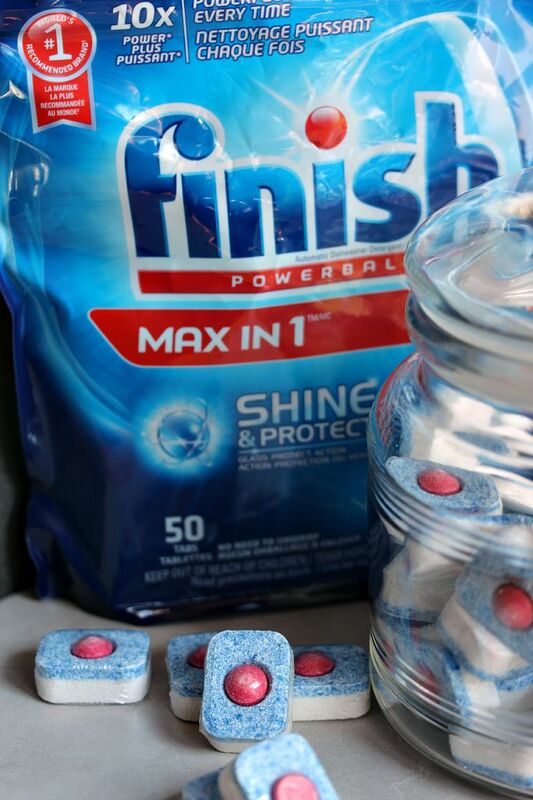 I know Finish® will hold its own. It cleans like I cook. That’s a good thing! We picked ours up at Walmart for $15.97, minus the $1.00 off Ibotta Offer and we only spent $14.97. That’s a great deal for a gal who washes enough dishes to make it a full time career! 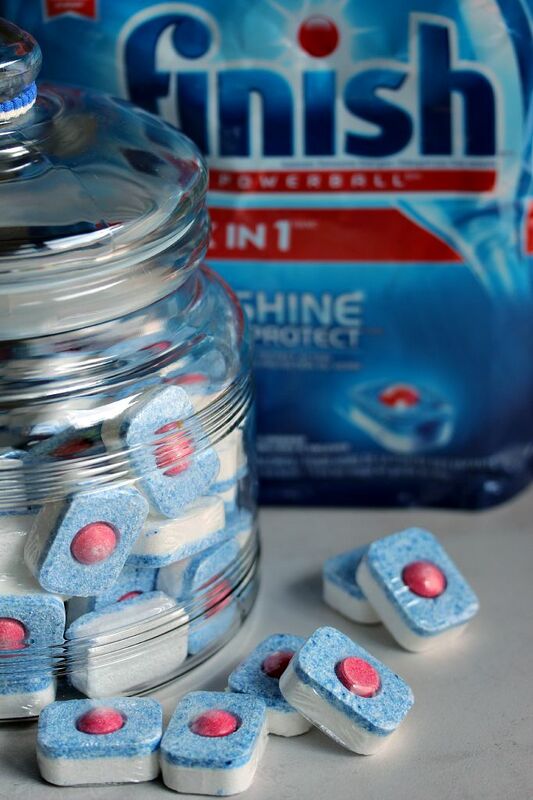 Finish® gives you an amazing clean and shine – which means you’ll never have to re-wash your dishes ever again. Just imagine what you could do with all that extra time! Finish® revolutionary Powerball® bursts into action to scrub away the toughest food residues like dried on food like lasagne and blueberry cobbler. 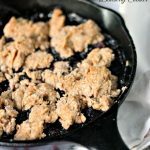 I made blueberry cobbler this weekend! It is the season!! 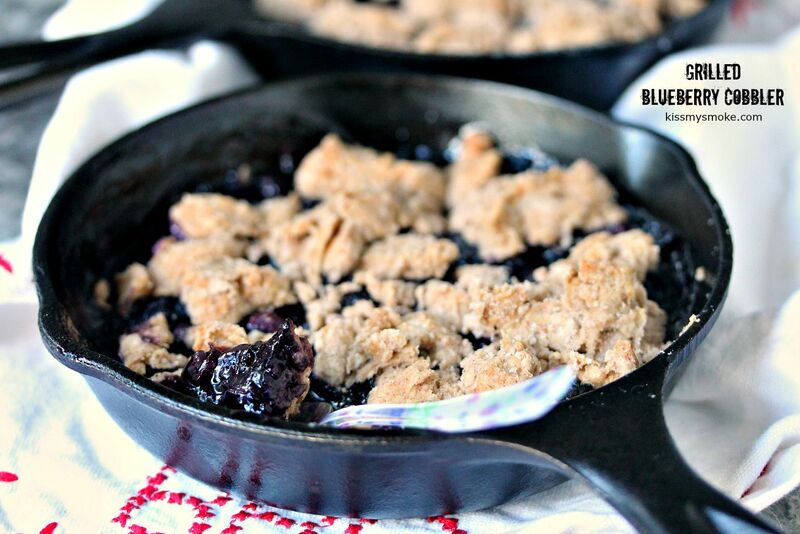 I can totally see why blueberry cobbler is the highlight of any summer meal – this looks incredible! 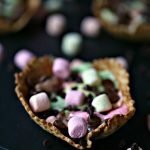 Skillet dessert on a grill – yes, yes and yes! 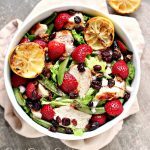 And a big yes to macerated berries! This is fantastic, Kim! That cobbler looks delicious — and I am so excited for blueberry season. Love them! What a great memory to have. There are just certain things that can bring memories back of the ones we have lost. Thanks for sharing and wonderful cobbler! 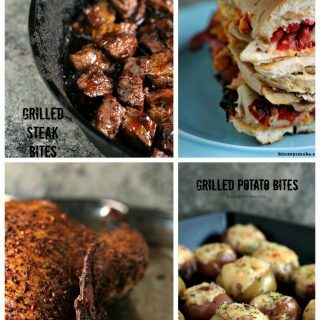 I love that you grilled this! The last thing I want to do this week is bake anything in the oven! Blueberries are quite messy to clean up…especially when you’re making a blueberry pie or cobbler. 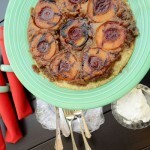 Love that you grilled the cobbler and it’s so nice to not use the oven on these hot summer days to make a dessert! 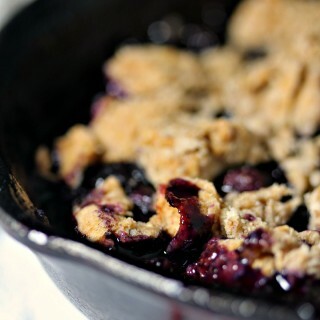 Oh my lawdy, YOU GRILLED BLUEBERRY COBBLER! Have I told you lately that I love you? I spent my summers growing up heading to Pointe Pelee! After a stop at The Pop Shop, we always hit the farm stands in Leamington along the way. What cool blast from the past memories. I am all over this cobbler. 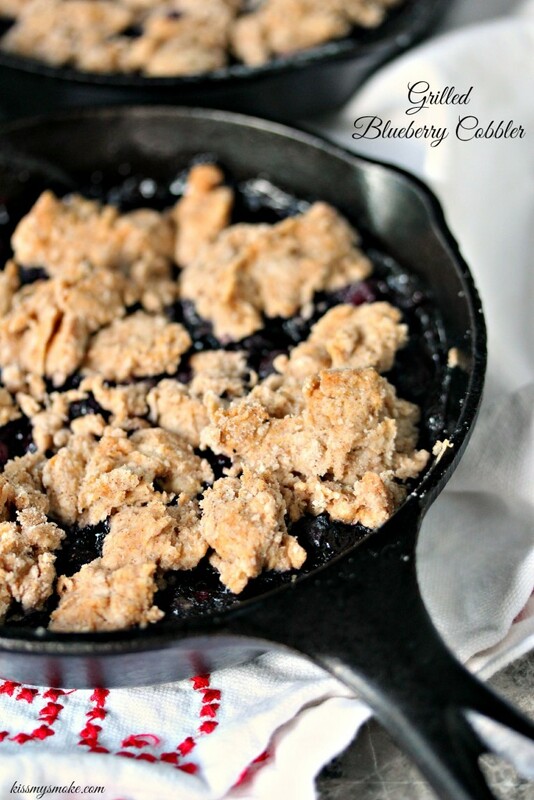 Grilled Blueberry Cobbler? Oh heck to the yeah! 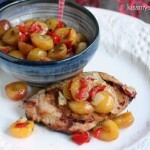 I JUST posted a grilled crisp!!! 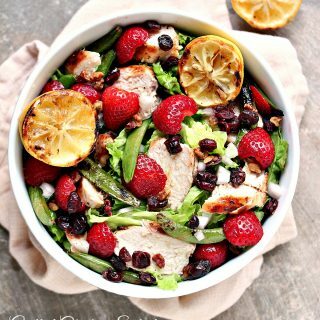 I guess great minds think alike 🙂 This sounds SO tasty, and I love all that berry goodness! Pinned! 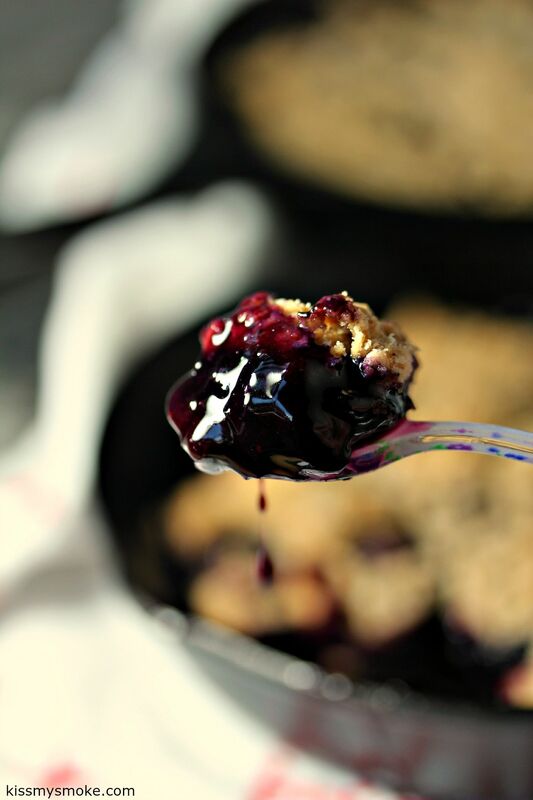 Blueberry cobbler is my favorite summer dessert! Every single summer my husband and I go blueberry picking. 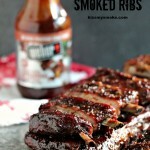 Can’t wait to make this….yum!